3 Bedroom Detached Bungalow For Sale in New Romney for Asking Price £350,000. 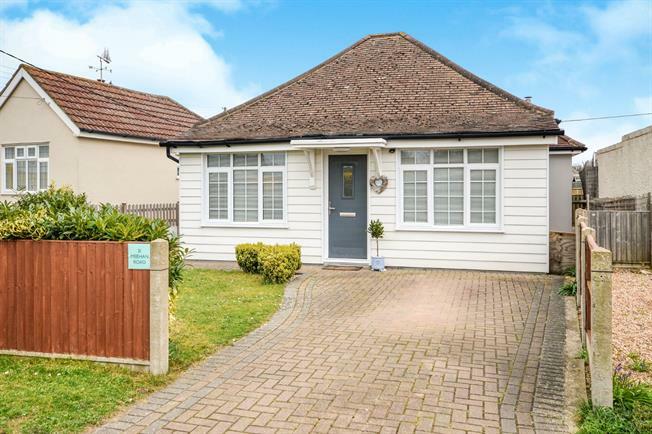 A stunning example of an extended three bedroom detached bungalow with good size rear garden. The lounge/diner is to the rear of the bungalow with wood burning stove, window and French doors opening onto the rear garden. Modern kitchen with range of wall and base units with sink set in work top, 5 ring gas hob with extractor hood over, built in electric oven, pan drawers, larder unit and space for washing machine. Two of the bedrooms are to the front and are double aspect rooms. The master bedroom has built in wardrobes. Modern shower room with walk in shower cubicle, wash hand basin set in vanity unit, WC, tiled walls and floor. To the front of the bungalow is a bloc paved driveway. The rear garden is mainly laid to lawn with decked area, summerhouse and fenced surrounds.